Her popularity is as extraordinary as is her secrecy. Neapolitan author Elena Ferrante’s novels in translation have won lavish praise throughout the English-speaking world, from The New York Times to Entertainment Weekly, The Independent, Slate, and on, and on. Beast, she is one of the world’s most talented writers. 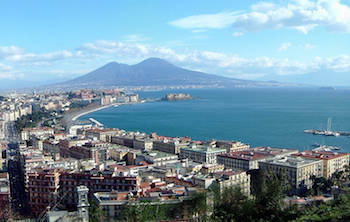 For The Guardian, “Nothing like this has ever been published before.” And for the London Economist, she writes with “crystal prose.” Others throw around words like “utterly brilliant” and “talented,” while tours of the places in her native Naples described in her books are now the latest chic in Neapolitan tourism. 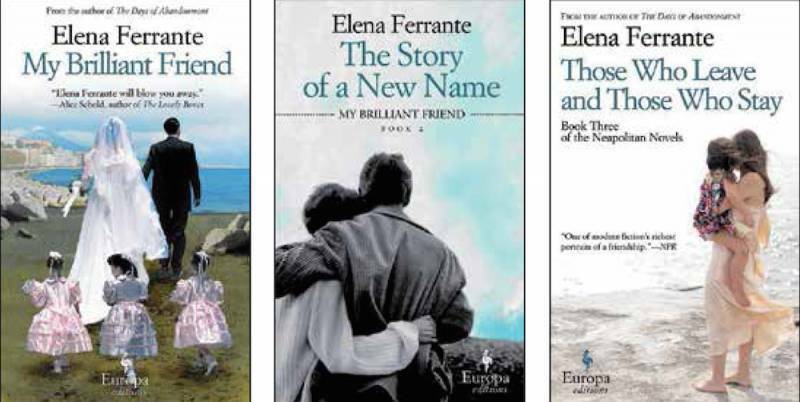 Elena Ferrante’s quartet of books (see above) are known in English as the Neapolitan Novels, published in English by Europa Editions of New York and, in the original Italian, by what is in Italy a minor publisher, E/O. begin, the chorus of protagonists headed by Lila and Elena—narrator and name-sake of the author—are seeking to leave behind the misery of their childhood. They want marriage and money, success and happiness: can it happen? From the time they were young children Elena and Lila are loving friends, but also tough competitors with, ever in the background, the broader social and class conflict of their time and place. In the end, the frustrated, intelligent Lila’s schooling ends with fifth grade, and she is married as a teenager and has children when herself scarcely more than a child. She never leaves the slum where she was born, but, thanks to her keen mind, forges ahead brilliantly. By contrast, Elena graduates from the prestigious Scuola Normale University at Pisa, then enjoys a comfy existence in Florence with her leftist husband and two children, only to turn her back on that life for an old love, and return home, where she eventually takes on the local organized crime bands of the Camorra. Italian readers are almost if not quite as enthusiastic as the English speakers. Reader “Carla” called the quartet one of the best reads in recent years. 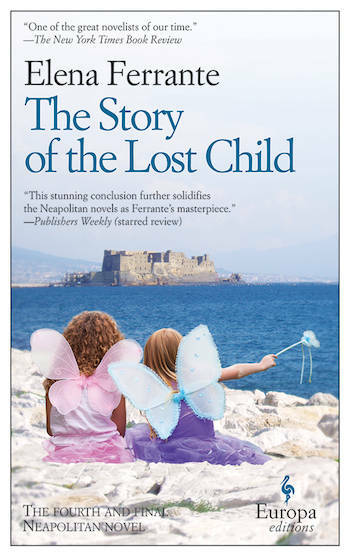 “Elena Ferrante involved me in her story as hadn’t happened to me in a long time, and the last book is so touching. 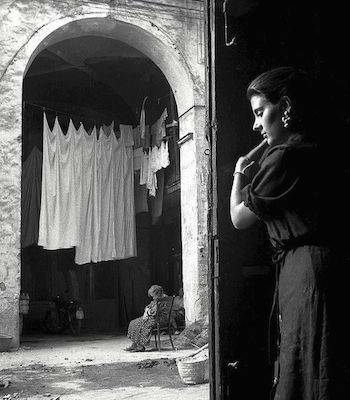 Bravissima, whoever you are.” The words “whoever you are” are crucial, as are Silvia’s “seems to be a woman.” The name Elena Ferrante is a pseudonym, and the author has chosen to keep his/her identity an enigma. For whatever reason, Ferrante is never photographed, never interviewed in person, but solely and occasionally by email. In the event, Ferrante came in third in the Strega Prize competition, with 59 votes; the winner was Nicola Lagioia with 145 votes for his novel La Ferocia, published by Einaudi. Still, many continue to ask if “Elena Ferrante” is actually male or female. Why should an author dodge publicity, unless this is, in itself, a publicity ploy? One theory is that she is Anita Raja, who works for the publisher E/O and is the wife of the writer Domenico Starnone, 72, and a Neapolitan. For some, Starnone and Raja are together the Ferrante writing team, which both vehemently deny.